So why isn’t that good enough to cover you if you are a courier? The simple fact is that you will need to take out courier insurance in order to be properly covered for the work that you do. The problem is that there are more risks involved in carrying out courier work than there are with occasional use of a van, or even with carrying out a trade. Let’s take some of these in isolation. As a courier, your van will potentially be covering a great many miles each and every day – a lot more than the owner of a van who uses their vehicle for occasional use, or a tradesman. You may be travelling across the whole of the UK, and even into Europe (and will also need to have EU use on your vehicle policy to carry out work in that region). As you are out on the road so often, there is more potential of an accident happening – something insurers need to be aware of, too. During the course of your work, you will also be carrying goods, and there will be two types of people reliant on you – those despatching the goods, and those receiving them – to ensure that the deliveries are made safely, in a timely manner. 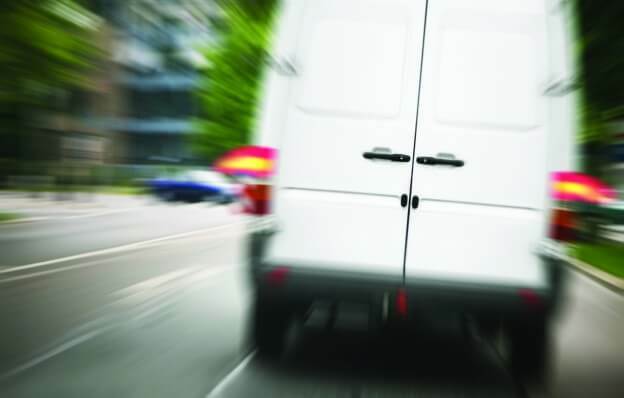 A private van policy cannot accommodate all of the above risks. Neither, for that matter, can a commercial van policy. Commercial van insurance is generally designed to allow you to carry out a trade; be it painting and decorating, plumbing, mobile car valeting, or anything else where the van is required to carry you to the location of a job, with the tools needed. In any such trade, the distances you will cover on the road are generally predictable; you will likely have an established customer base, will cover a certain regional area, and if you’re a painter and decorator (for example), you’re not going to be carrying pallets of goods from one location to another for your customers! There are also people who own vans for commercial work who may wish to do occasional courier work as a side line of work. But again, your commercial vehicle policy will most likely not cover you to carry out such work – you need to check specifically with your insurance company or broker as to whether you are able to carry goods on a hire or reward basis. To obtain a courier insurance policy, you will need to demonstrate the radius of travel from the address where the vehicle is based (be that home or business premises), the type and volume of goods that you will be carrying, and the type of customer you will be dealing with as part of your day-to-day work. There are other things to consider, too, such as goods in transit insurance, which is generally sold separately to any vehicle insurance policy, but is very important for those making multi-drop deliveries. This can also cover your public liability insurance and employers’ liability insurance, with generous limits of indemnity. If you’re dealing with members of the public during the course of your work, or you employ anybody at all, then these covers are very important for you – yet you won’t even think about them if you only have a van insurance policy. Don’t be left exposed or underinsured – make sure that you have the right insurance by talking to ChoiceQuote today on 0800 440 2180, or fill in our simple online form to get a quotation. It could prove surprisingly affordable for you to take out courier insurance, yet it might save you a small fortune if somebody makes a claim against you while you are undertaking courier work.